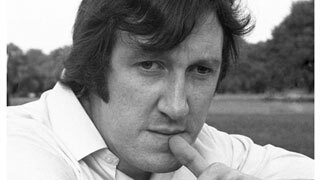 British comedy lost another favorite recently, when actor Gorden Kaye who played café owner René Artois in the hit comedy series ‘Allo! ‘Allo! died January 23rd, at the age of 75. Although the cause of Kaye’s death was kidney failure, it was revealed that the actor had suffered for the last few years from dementia, which had left him unable to recognize not just his own family members, but, according to one of his relatives, even himself. The same relative – the husband of one of Kaye’s older cousins – reported that Kaye had spent the last years of his life in three different care homes, the last of which he’d moved into about five months ago. It seems that a regular visitor to the care home was Sue Hodge, who played the waitress Mimi LaBonq, one of Kaye’s mustachioed café owner character’s love interests, in ‘Allo! ‘Allo! According to reports the diminutive actress, who stands at just 4’ 9”, cared for her old friend in his final days. Hodge had joined the series in 1987 and remained with it for 62 episodes until it’s conclusion in 1992. Kaye on the other hand was with the series since its inception in 1982 and was credited with making it the world wide success it was to become. 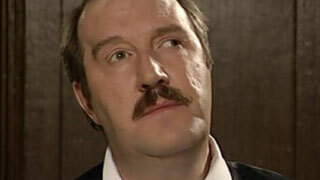 In real-life, Kaye was very different than his ‘Allo! ‘Allo! character. He was a confirmed bachelor who never drank and was known for being shy and quite reserved. He was also very active in The Grand Order of Water Rats – the world’s oldest show business charity, which he was elected to head up in 1999. Kaye almost didn’t survive into the 1990s, as on Burn’s Day in January of 1990 he was driving in a severe storm, when a plank of wood smashed through his windscreen and knocked him unconscious. It was touch and go but thankfully following five hours of brain surgery, he recovered, and was able to return to film two more series of ‘Allo! ‘Allo! - albeit with a dent in his forehead! Before he appeared in ‘Allo! ‘Allo! Kaye was already a familiar face to British television viewers, having appeared in numerous series, including another David Croft and Jeremy Lloyd created sitcom Are You Being Served? Kaye appeared in Are You Being Served? a total of three times, as three different characters – first he was "Candid Cameron", the celebrity photographer who ends up buying the "silent" Gaberdine, next he was Mr. Tomiadies, the friend of Mrs. Slocombe’s Greek fiancé and finally as Mr. Fortesque, the television commercial director friend of Mr. Humphries. For a trip down memory lane here’s a video clip of Kaye as Candid Cameron. Kaye also appeared in an episode of Last of the Summer Wine, which must have been a treat seeing as it was set in the county of his birth, Yorkshire, which is where, according to his family members, Kaye will have his final resting place, in the town of Huddersfield.